Large capacity in a small space. Bosch 18" dishwashers offer large capacity and powerful dish cleaning in a convenient, slim design. Perfect for bars, butlers pantries or even as a second dishwasher in the kitchen. Key innovations such as a 3rd rack, a RackMatic height adjust&shy;ment system and a built-in water softener bring luxury to even the smallest spaces.18 and 24 ADA compliant dishwashers are uniquely designed for customers with special height requirements and feature sophisticated technologies for quiet operation, outstanding performance and flexibility. Style that fits anywhere. Combined, Bosch 24-inch washers and dryers offer the fastest wash and dry cycle which takes a total of 30 minutes. The washers and dryers offer endless installation possibilities, as you only need one electrical outlet to operate both appliances and the dryer requires no venting, so there's no ducting to worry about. The sensitive drying system uses warm, mild air to gently dry even the most delicate items. The 300 Series Washer is a Perfect Companion Piece to the 300 Series Dryer, Matching in Quality, Performance and Design. 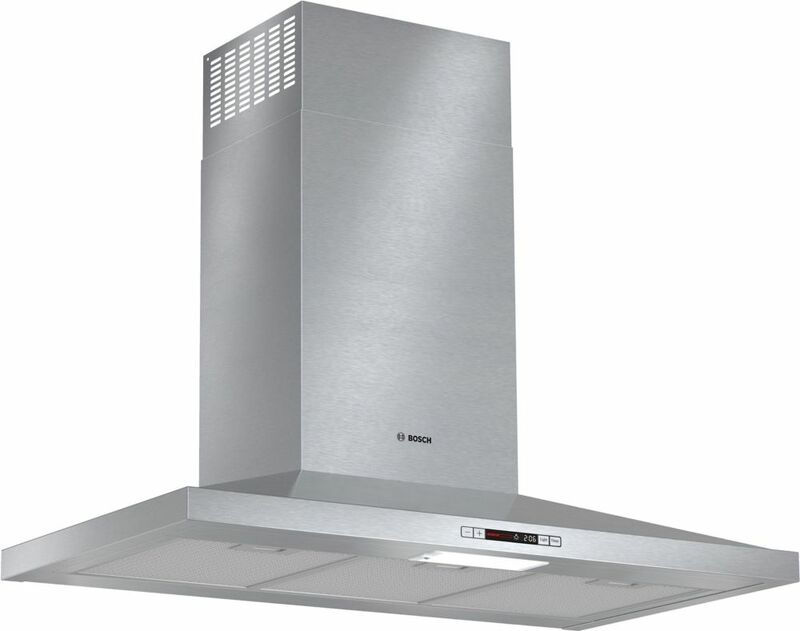 300 Series - ENERGY STAR 36 inch Pyramind Canopy Chimney Hood - 300 CFM - ENERGY STAR® Sleek, European design that blends with any kitchen. Bosch stainless steel chimney hoods integrate matching user interfaces and design aesthetics to complete the Bosch kitchen suite with sleek and sophisticated styling reminiscent of European design. With 300 and 600 CFM options, beautiful Bosch hoods will quickly clear the air of grease, steam, smoke and odour to keep your home fresh and odour free.